Let's say that this post been in the works for a while now, and I'm happy to finally share it with you. 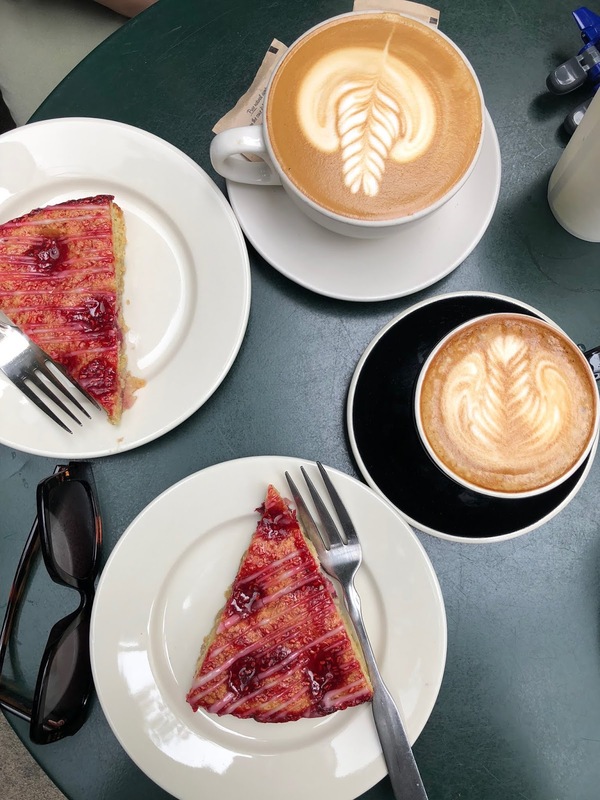 As a big fan of coffee and pastries, I tried a fair share of the cafes in the capital. 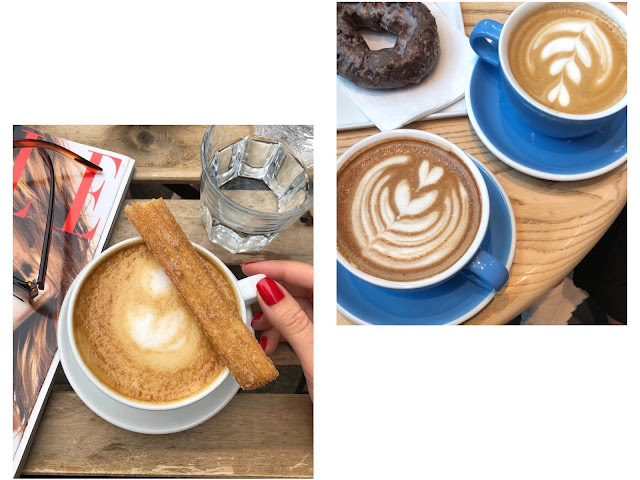 If you follow me on Instagram and thought that I'm just a spoiled brat who drinks coffee at a new place each time, now you know the reason - I was trying to find the best spot for you. 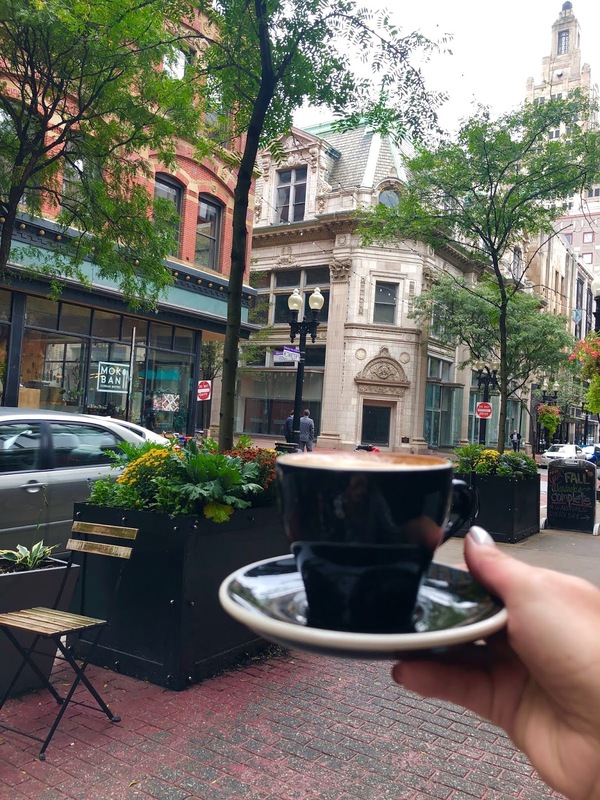 Even though I wouldn't be able to rate them, too many good ones, I will share with you my favorites and hopefully, that will help you to find a new Best Coffe place in Providence. As I'm writing this I'm imagining myself at the cozy corner of my favorite place sipping a latte and biting on an almond croissant. In truth, I have a toddler who would never allow me to do that, so I'm speed typing while she naps. Nevertheless, let us get to business. I love when places offer varieties and this one is just that. From delicious coffee drinks, teas, pastries, cookies to bread Seven Stars has a lot to offer and is definitely one of my favorites. 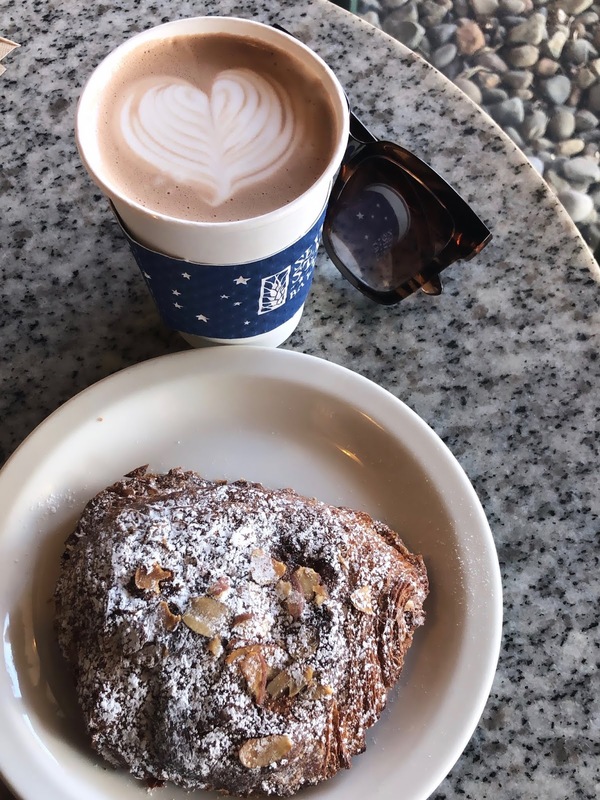 They have the best almond and chocolate croissants and I'm starting to drool just thinking of it. 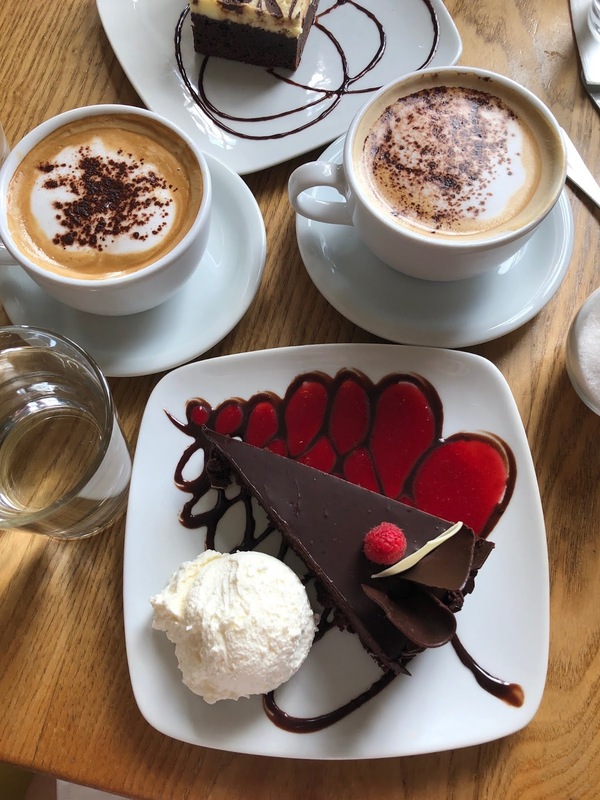 Located at the heart of downtown Ellie's bakery is a cafe that offers one of the best hot chocolate I ever tried. 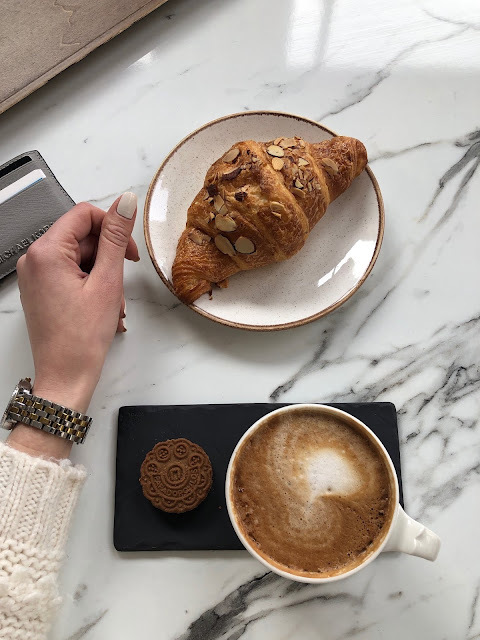 They have delicious pastries and macaron! I also in love with their outside chairs and tables - Parisian vibes in Providence. Some places you like for the food and some for the atmosphere. I like the idea of a coffee bar and how cute they made it. 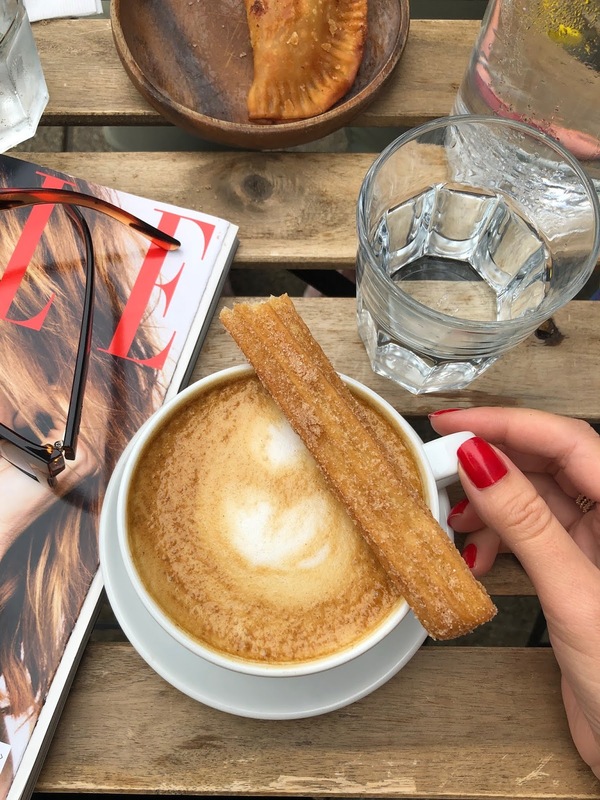 They have a variety of different interesting coffee drinks and my favorite churros. I can't wait for the warmer weather, so I can come to Small Point Cafe and sip on my coffee outside. They always have new interesting deserts, and I like that they use linguine (uncooked of course) to steer coffee. They have a very cool barista who took the request for making latte art. I can't find a photo, but it was the face of a kitty and was super adorable. He made my day and increased my Instagram likes. If coffee associates with a cake for you too, then my friend I have the best spot in the world. Pastiche offers a variety of cakes that you can purchase by the slice and you might spend half an hour just choosing. Chocolate canache cake with raspberry jam and homemade whiped cream is my favorite! Not into savory things? 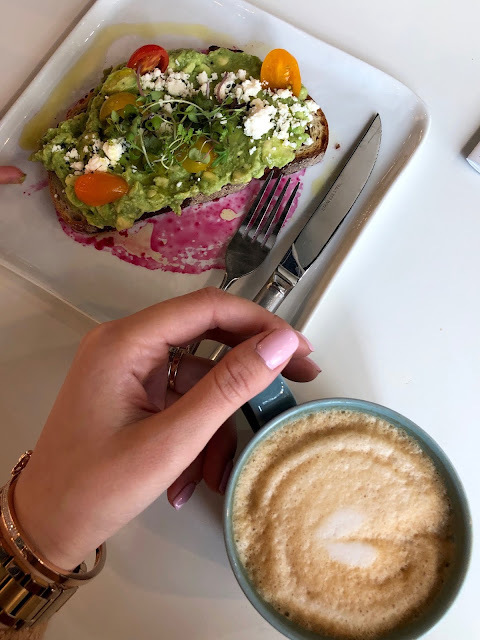 How about avocado toast with coffee? It tastes so good you would want to go there for breakfast lunch and dinner. Maybe not dinner, since they close at 5 PM, but definitely a late snack. 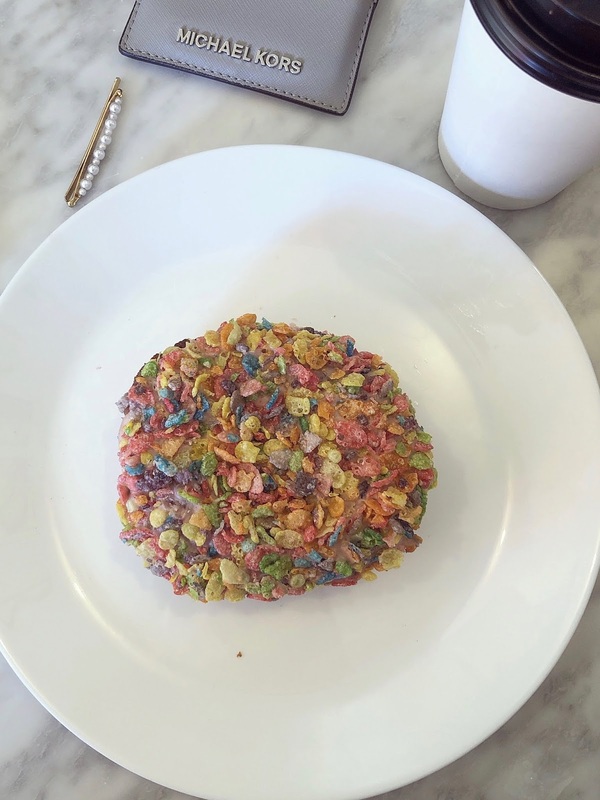 They also offer vegan pastries. 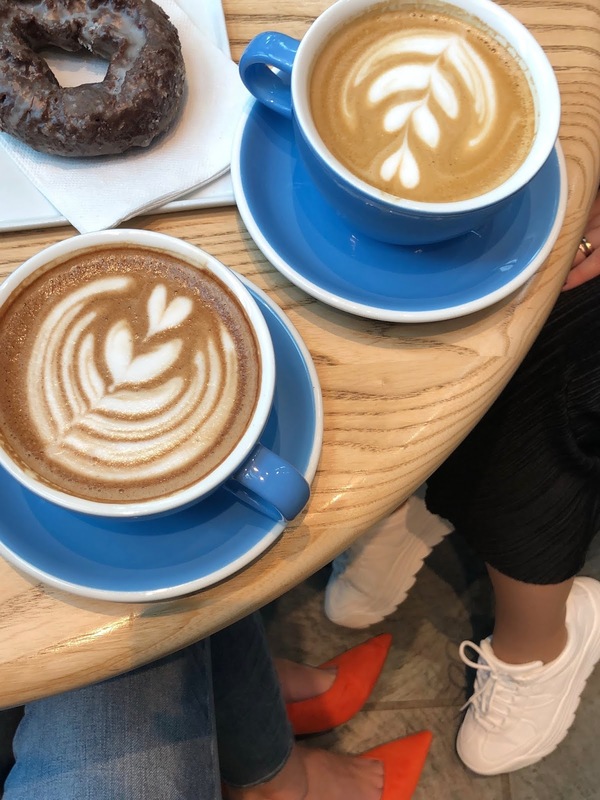 If you are vegan you have to visit WildFlour vegan bakery, they will make you delicious latte with milk substitute (almond or coconut milk) and the first time I had pastry there I didn't even realize it was vegan, it was so good. A recent favorite is Yoleni's. The atmosphere of the place for me is as important as food and I just love this restaurant. 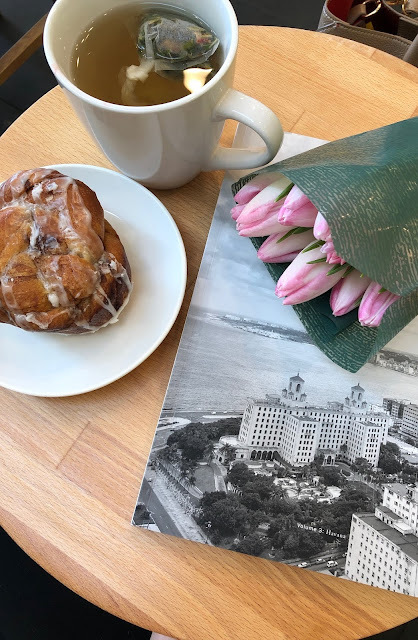 Located downtown in a gorgeous building with glass windows from floor to ceiling and marble tables Yoleni's is an Instagram worthy place. 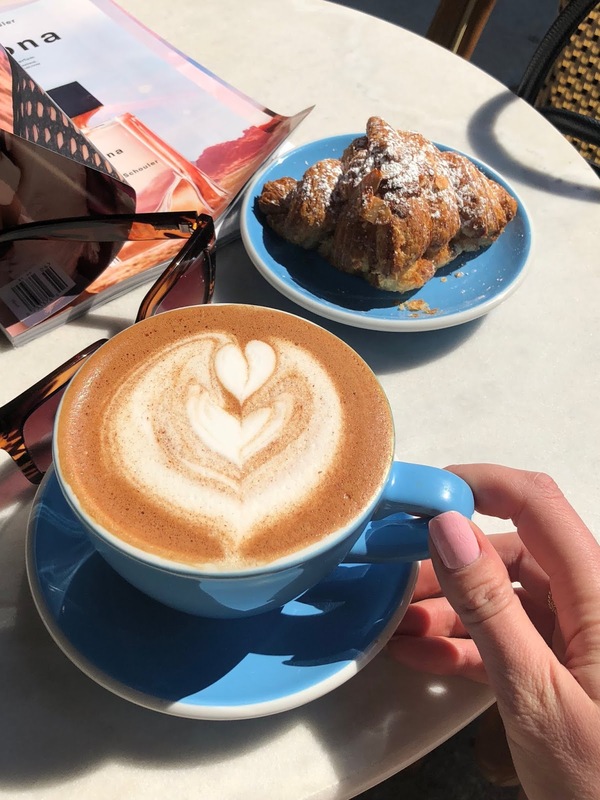 Coffee is also delicious! 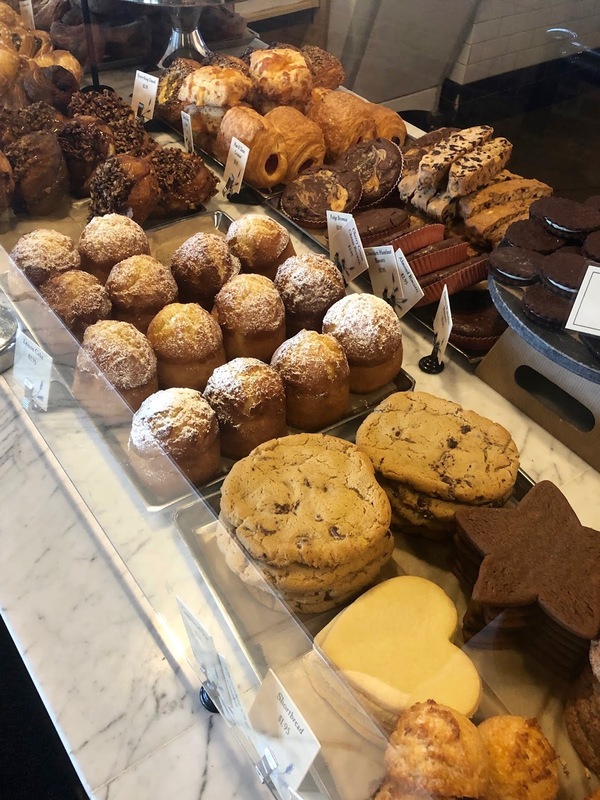 Cafe Pearl located at RISD Museum offers good coffee drinks, sandwiches and salads. If you already there, it is a big chance that you will find your way into the museum and that is a treat on its own. 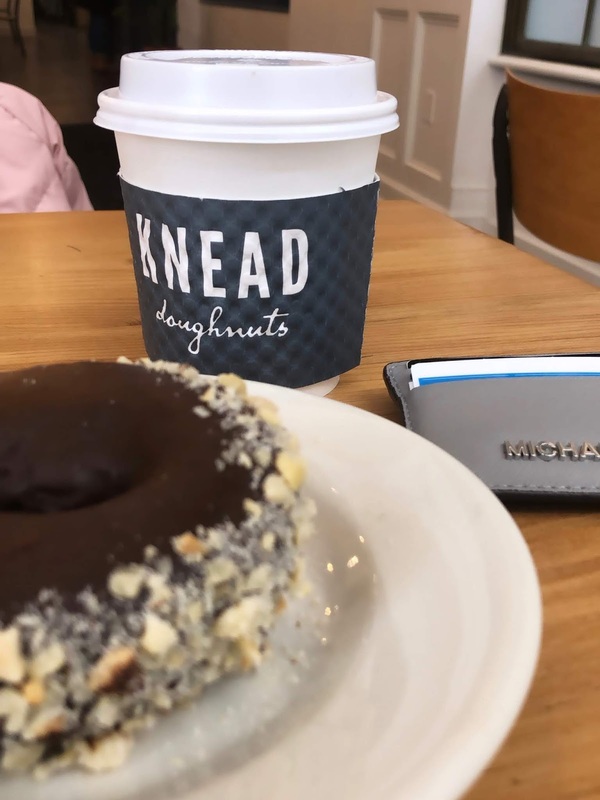 If you aren't into coffee drinks and just like your coffee black or with milk, you must go to Knead Doughnuts. It's a beautiful place with delicious donuts and if you come at the right time you can even see how donuts are made. They offer regular coffee, Nitro, and teas. From the name, you got that it's a donuts place and one of the best in Providence. My personal favorite is cereal donut - love a sweet and sour crunchy combo of the cereal mixed with a soft donut. The downside is a long wait, but to skip the line I usually go there around 11 AM on a weekday. 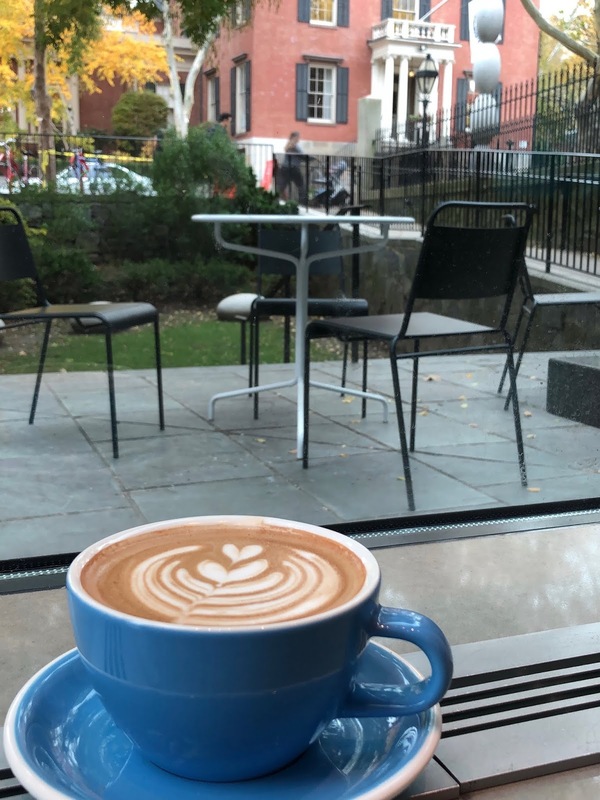 There are many more good coffee places in Providence and I would love to visit them all. If you have recommendations let me know, I would love to try a new place.